Makelaarsland is a Netherlands-based brokerage firm. Prospective home sellers can sign up on their website to make the company their estate agent. 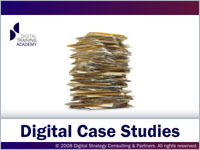 This case study shows how using a picture with a ‘sold’ sign increased signups by 89%. Back in 2011, Veeam Software wanted to improve the click-through rate from its product information page through to the sales inquiry form. This case study looks at how the company changed the wording of just link to get nearly three times more customers requesting a quote. Clinique boosted its influence among young women by taking its #FaceForward campaign to Tumblr. 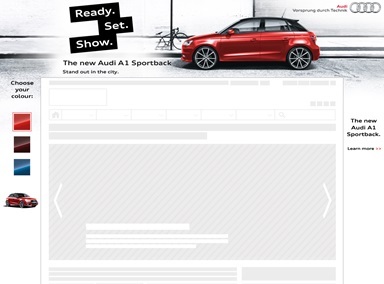 In 2015 InSkin Media (ISM) Singapore partnered with Mediacom to help promote Audi's new A1 Sportback Model. The ad encouraged users to interact with the creative with buttons to change the colour of the car. InSkin Media have been working with numerous automotive manufacturers to create bespoke full page skin ads to boost brand awareness. 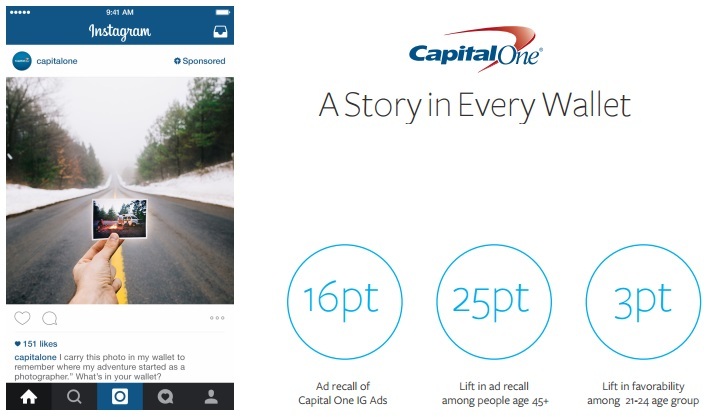 One of the first financial services brands to advertise on Instagram, Capital One used inventive images in a series of sponsored posts that showcased the mementos people carry in their wallets and the stories behind them. 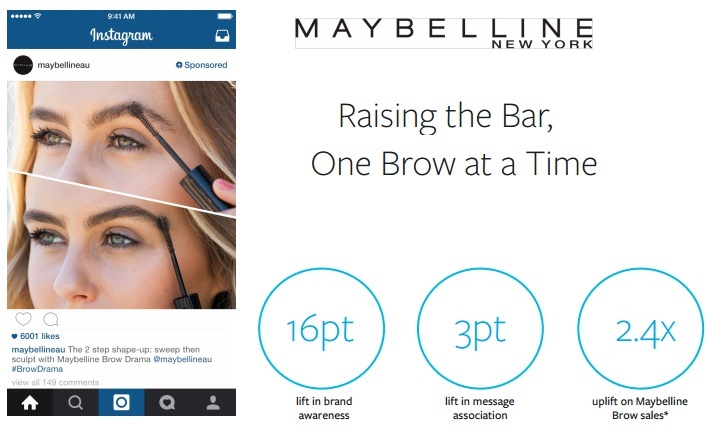 Maybelline New York used Instagram to raise the profile of eyebrow cosmetics in Australia, increase brand awareness, message association and product sales. Aurelie de Cremiers Marketing Director, Maybelline New York 16pt 3pt lift in brand awareness lift in message association 2.4x uplift on Maybelline Brow sales. In the early 90s French Connection created a storm of controversy when they began using the branding fcuk. For the launch of French Connection’s SS15 collection, French Connection wanted to bring back its convention busting fcuk brand personality and with the help of agency Lost Boys they created the social media campaign #MINDFCUK. With every major brand trying to make the most noise in social spaces, how do you get people to notice something new? Taco Bell decided to stop making noise altogether. This case study looks at how the US fast food brand shut down its social media accounts to generate hype around its app- driving a huge number of subscribers and making number 22 in the iOS App Store in the process. Super Bowl Sunday is the biggest advertising day of the year, so how could a car brand stand out from the scrimmage? In 2014, Audi sent followers funny Snapchat pictures relevant to the game in real time. The campaign generated millions of earned impressions and introduced Audi to a new generation of consumers. To launch their cheapest-ever meal, KFC Romania aimed to prove that you don’t need lots of money to have lots of fun. The fast food brand parodied the #RichKidsOfInstragram with their very own #LittleMoneyBigFun hashtag campaign, powered by a site that challenges fans to pick famous rich kids Instagram photos, and upload your own side-by-side version. Influencer marketing is becoming a greater part of the digital marketing mix, as brands look to key advocates to spread the word. This case study will look at how Marriott hotels are leading the way with content marketing by collaborating with key influencers. Sunuva is UK-based retailer of kids UV swimwear and beachwear that is validated by the British Skin Foundation. Its products are stocked in major department stores and independent boutiques all around the world, and the brand has a strong celebrity following. In order to build on the success of Snickers’ “You’re Not You When You’re Hungry” campaign, the popular chocolate brand created an original search campaign based around misspelled words. The campaign capitalized on an existing digital behavior, misspelling words, and played on this to imply that users were so hungry they can’t even spell properly. Uber’s top ten cities are no longer just in the US, four of the top ten are now in China, and if growth continues at the current rate China will overtake the US as Uber’s largest market. 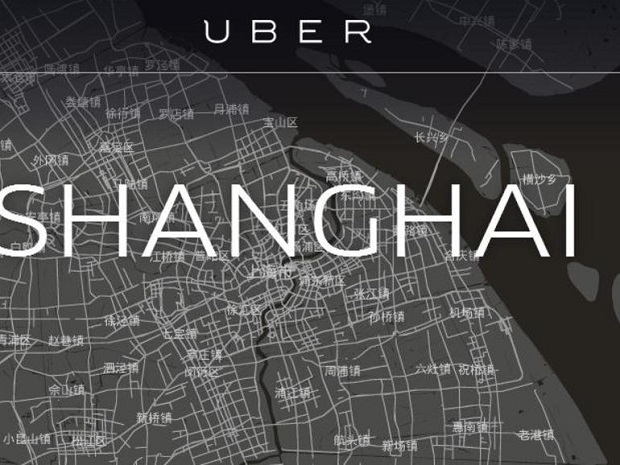 What’s most remarkable about Uber’s growth in China is the fact that it’s a tech company which collects customer data. Few companies of this nature have managed to succeed in China; other companies which collect customer data such as Amazon, Facebook, Google and Twitter have failed or are struggling to remain competitive. Building a premium brand in China is a tricky task. But American Airlines took a long term approach to build quality content, developing a leading online resource for Chinese citizens traveling to America. This content marketing case study shows how, with a limited budget coupled with aggressive targets brands can get strong results. 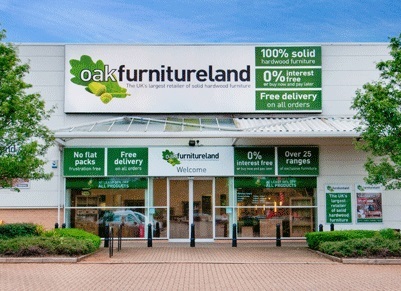 Oak Furniture Land wanted a new digital campaign that linked its online presence with its 62 stores around the UK. This case study shows how the furniture retailer made smart use of localised targeting to boost revenue by 30% year on year. 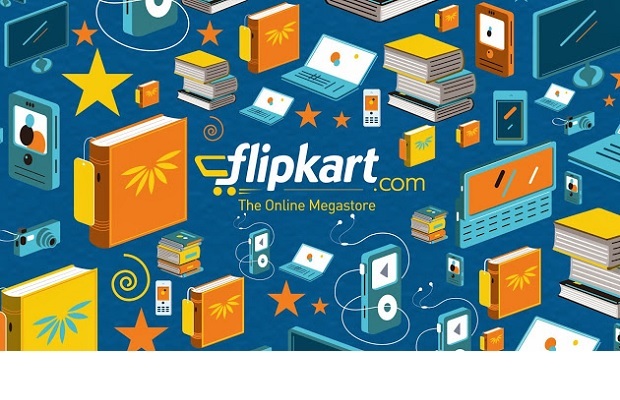 Proving the link between online ads and offline sales is the holy grail of digital marketing. This case study shows how geo-marketing testing with Google, Mobile network EE was able to research its customers path to purchase and found that for every 1 online sale driven through search, it drove an additional 2.6 offline in-store sales. Germany’s famous biscuit-maker used Facebook mobile to build new emotional connection with a younger audience, reposition its brand in everyday life and achieve great sales results on just 6% of its media budget. 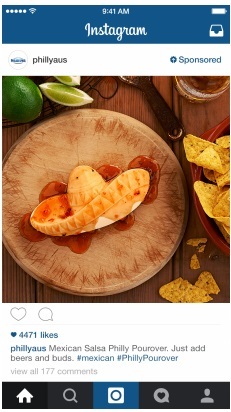 Philadelphia was one of the first brands in Australia to use Instagram advertising. The campaign captured the attention of foodies and achieved a lift in key brand metrics as well as product sales. 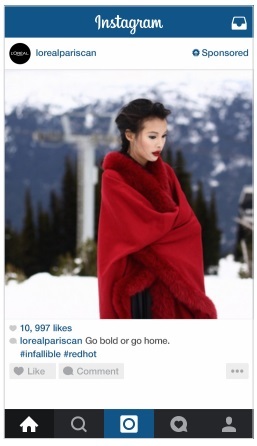 L’Oréal Paris ran a winter-themed ad campaign on Instagram in Canada to raise awareness and tell their story. In bold, vividly colored photographs the campaign helped increase both recommendations and ad recall with the cosmetic company’s target audience.